And as soon as the first to thank you for all visitors of my blog. 45 000 just went out and 180 readers .. wow .. I hope you enjoyed. And the other good news, I'm leaving in a week to get to sweden, oh lovely magnolia shop, I can not wait. papers are pion design, decorations, wild orchid crafts and coloring with distress ink. Have a wonderful week dear readers and other visitors. Absolutely stunning! love everything about your card the details are fabulous...Thanks for playing in our BINGO challenge at Totally Tilda..good luck! 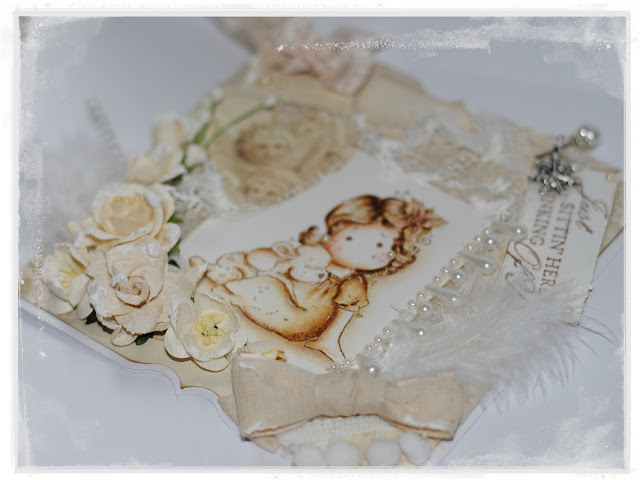 Totally stunning, I love the sepia colouring, this is gorgeous, thanks for joining us at Totally tilda for our Bingo challenge, good luck, And thanks for joining our white on white challenge at MDUC! 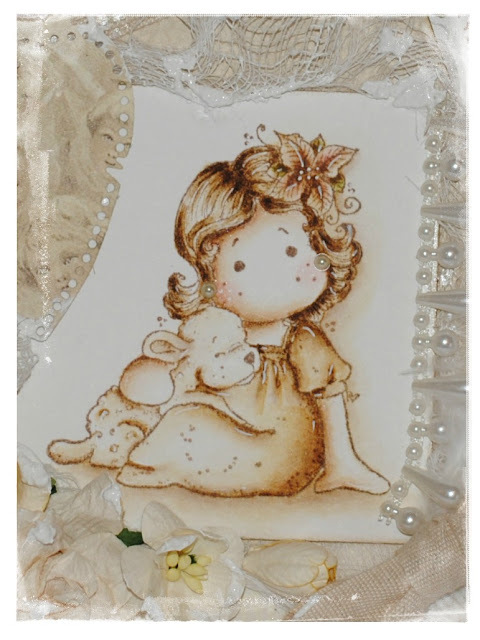 Hi Marika, this is a beautiful card, love the sepia tones and this sweet Tilda. Stunning work. Thank you for joining us at Totally Tilda and Midweek Magnolias with your beautiful creation. Enjoy your trip to Sweden with all those lovely Magnolias. Love the sepia tones in your colouring and gorgeous layout. Thanx so much for joining our White on White challenge this week at MDUC. Super cute,Have a blast in Sweden!! Thanks for joining us a Totally Tilda! Aivan ihana. Erityisen upea on tämän kortin "värimaailma". Mä tykkään vaaleista korteista.